Days after celebrating his 49th birthday, and a matter of weeks before his fourth era of F1 car design begins in public, now is a good time to review Adrian Newey's illustrious career. 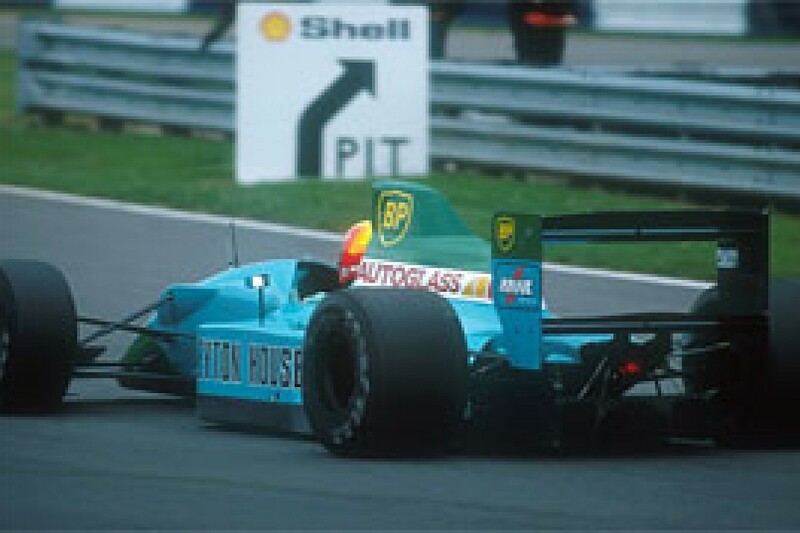 As a designer, the Briton set the standard in Formula One since 1988, when his ultra-aerodynamic Leyton House March first raced. Following a dominant period at Williams and his innovative time at McLaren, Newey is now at the technical helm of the smaller but ambitious Red Bull Racing team. Will his years of experience give us clues as to what is to come from his new car? Adrian Newey's father loved cars and mechanics. 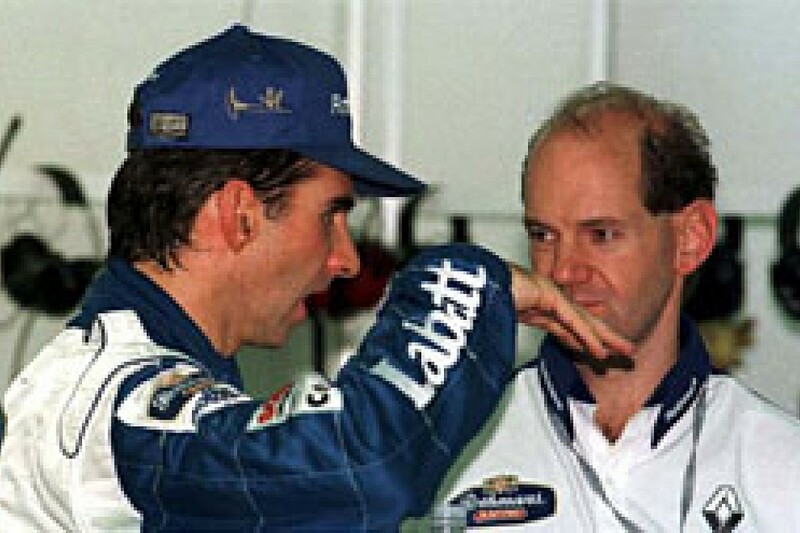 This interest rubbed off on to the young Newey, who says: "I used to help him. At the age of about six I became interested in cars, and I already knew I wanted to do something with cars at that age." This tinkering led to a more practical involvement. "At 12 or 13 I built a go-kart," he recalls, "and that became more of the interest than the driving". The technical interest hardened his career choice, too: "By that time, I knew that was what I wanted to do." He studied engineering through College, and when it was time to select a university degree, Newey made an inspired decision. This was the late seventies, and aerodynamics was an increasing part of Formula One. Wings were a permanent fixture, but knowledge of the science was limited. As a result, Newey chose aeronautics over more conventional engineering. His thinking was simple: "racing cars seemed closer to aircraft than other things; it seemed the obvious thing to do." During his Degree at Southampton University, with Lotus's wing cars winning on the track, Newey focused his thesis on ground effects. His first work from leaving university was with the Fittipaldi team, but he soon then joined March. In his time at March, he worked in several categories of racing car, from F2 to sports cars and, latterly, IndyCars. In this environment, Newey worked on various areas of the car, not just aerodynamics. Having left March and the short-lived FORCE F1 team, he also acted as a race engineer in the US. This broad base of experience would help him in his later career, understanding the car as a whole and not just focusing on one area. The traditional environment at March also laid the foundations for a unique element of Newey's approach to design: he still uses a traditional drafting board for the first sketches and layout of the car. Despite computers being the de-facto method of the detail drawing of the car, Newey feels the complexity in changing details of a CAD model deters engineers from rethinking concepts. "I come up with the important concepts of the car - be it mechanical or aerodynamic," he explains. "I'm privileged to be in the position to come up with the concepts, but not have to worry how things are made. I effectively have a series of people who take my sketches and then put that into the computer in greater detail." There's a lot to be said for this approach, and it allows the team to think more laterally at the early conceptual phase of the cars design. Newey's strengths have always been cited as his aerodynamic skills, and there is no question that he does produce aerodynamically excellent cars. But his early training leads on to how he has been able to produce better cars than his rivals on so many occasions. Newey understands that the car works as a complete system - every element of its design affects the other. You can split the critical requirements for a fast F1 car into two: the aerodynamics, and the mechanics. Clearly, each of these elements also influences the other. It has been Newey's adoption of mechanical (albeit sometimes electronically-controlled) solutions to aid both the basic grip of the car and its aerodynamics that has set him apart from his peers. This maturing science, known as chassis dynamics, has been Newey's key strength. He has innovated with suspension, gearboxes and structures to make the most of the car's performance. His ability to constantly innovate and still maintain the balance between aero and mechanical grip, make him the most accomplished designer in current F1. Only Rory Byrne, a man who Newey admits to respect the most, has a record to match Newey in modern F1. Newey's list of developments is almost endless: active suspension, electronic steering, ABS, CVT, double clutch, Fiddle brakes, energy storage. However, Newey's innovative thinking has brought him as much frustration as success. His often left-field interpretations of how differing technologies can be applied to F1 have not been met with glee by the FIA. 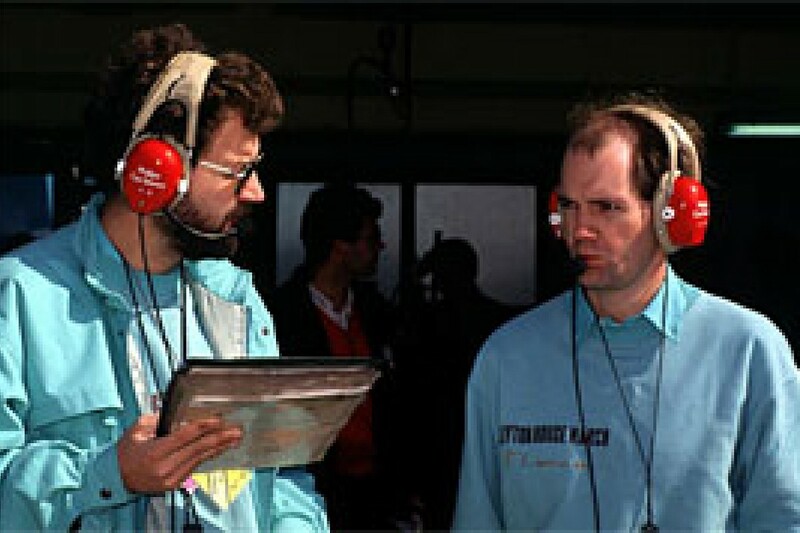 Often Newey had invested huge amounts of time and even greater amounts of his team's money into programmes that never got to race or were banned soon after they appeared. Having worked on their IndyCar programme, Newey was chosen to design the March chassis for the Japanese funded Leyton house-March team. Having run a modified F3000 chassis the year before, Akira Akagi bought the team and funded the development of a new chassis. Despite Newey's previous F1 experience, this was his first complete F1 chassis, and he was able to define the initial concept to his own requirements. Considering that the car would not have the enormous backing of the top teams and needed to run a customer engine, Newey needed the chassis to make up for the deficits in their resources. The resulting car was a landmark in F1 design history, despite the fact that it never took a victory or enjoyed continued success. Taking the fundamentals of what makes an F1 car go fast, Newey had worked out that compromises in many usual areas of development were needed to enhance the aerodynamics. The car that rolled out for the 1989 season was more aerodynamically detailed than the rest of the grid. His first priority was to reduce the cross section of the car at all points along its length, then work to maximise its use of the front and rear wings and diffuser. This focused approach produced some long standing designs, which were widely adopted in the years that followed the cars debut. The first and most striking aspect of the car is its minimal dimensions - the whole monocoque, sidepods and engine cover are only just wide enough to cover their internals. In fact, Newey was happy to accept bulges for clearances where other designers would have made the entire cross section wider to contain items such as front suspension, radiators and airbox. This thinking brought about the much talked about narrow footwell. So narrow was the pedal area that the drivers reportedly struggled to fit their feet on the pedals with normal driving boots. This may have been true at the time relative to other typical cars, but those who have driven Leyton House cars that are now in private hands claim that the footwell is no worse than other cars of the time for average sized feet. The sidepods and engine cover hid a relatively small Judd engine and radiators, but the streamlining Newey achieved lead to the distinctive side profile that still appears similar to modern designs. But it's the front of the car that provoked so much innovation. Firstly, the cockpit opening was reduced to a minimum. Then, the structure rose up and over the steering wheel. This placed the driver inside the cockpit at a time when most cockpit sides were getting lower and lower. It benefited the aerodynamics - as the flow over the front of the car was much smoother - and also the structure was much stiffer. This confined appearance to the admittedly slim cockpit opening probably added to the driver's feeling of claustrophobia, but the shaping was soon adopted by all other teams and Newey's subsequent designs at Williams. Lastly, and perhaps most significantly, Newey had started to optimise the area around the front and nose of the car. This area was little talked about at the time, but the Leyton House and a few other cars (notably Tyrrell) had set about making the underside of the front wing more efficient. The under side, the so-called suction surface, is a part of the wing doing a lot of the work. Up until that point in time, most front wings were split by a wide nosecone and obstructed by a bulky monocoque and flat floor. Newey had deduced by slimming the nose and creating more clearance for its exit flow that the wing would work better. Mindful of the structural implications and a low centre of gravity, the Leyton House cars had a subtle treatment of the raised nose. Several iterations through Newey's time with the team lead to a nose raised by a few inches front its tip to the mandatory flat floor area, which eventually started with a splitter. This embryonic concept was only fully matured with the Tyrrell 019, but there were reports that a raised nose Leyton House had been drafted before the team collapsed. This car was believed to be similar in concept to the Jordan 191, in that the nose wasn't fully raised and the wing split as with the Tyrrell, but a full width wing drooped from an arched nose. This story is further backed up when we look at the similarities of Leyton House car and Newey's first Williams car. Newey's time at Williams was the start of his success in F1, finally with the resources to extend his thinking and exploit aerodynamics in ways other teams had yet to consider. By looking at the FW14 and most importantly the B model raced to such devastating effect in 1992, we can see where Newey's initial ideas came to fruition. While the concepts on the Leyton House and Williams cars were very similar, the FW14 bore little resemblance to its awkward-looking predecessor. Again the long, slim, streamlined shape was carried on, with low sidepods and an enclosing cockpit shape. Even the line of the flanks of the monocoque was complete with bulges to accommodate the push rod linkages. But now the nose and the area behind had been raised in a graceful arch with a wing slightly drooped to form large outboard aerofoils, which kept the middle of the span from sending unwanted turbulence over the body of the car. Under the arched section was a small splitter in a logical progression of the Leyton house concept. At this time other teams had also worked hard to make the most of the diffuser, finding that it worked best at ever lower ride heights. Teams ran the cars with barely a few millimetres of ground clearance; these were the days when an F1 car at speed was a shower of sparks. But making the most of the diffuser was a balancing act: ride the car too low, and the diffuser was choked of air and abruptly stopped producing downforce. This forced the designers into compromised front suspension set-ups, using hard bump stops, stiff springs or even monoshocks, to keep the floor flat and never too low. By recalling Williams's failed efforts to produce an active suspension (Williams actually used to term it "reactive"), Newey restarted the programme, realising that its computer control of ride height would allow the diffuser to work at its best attitude throughout the lap and hence produce greater and more consistent downforce. The solution worked, albeit at the cost of some feedback to the driver, which hampered the more sensitive Riccardo Patrese. But Nigel Mansell's more blunt driving style worked with the system. 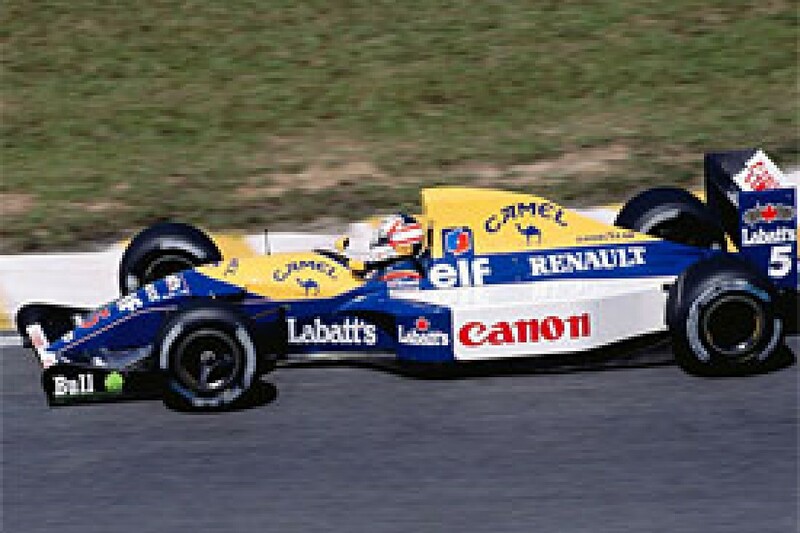 Having the confidence that the electronics and the effective diffuser would produce the grip he needed, Mansell was able to turn into a corner at greater speed and hence with greater downforce, the suspension readjusted the car's ride height throughout, thus delivering the grip needed. Newey's cars won prolifically and Williams achieved a zenith in their fortunes. The resources available to the team allowed Newey to develop other more, controversial ideas. One of these still talked about today was a constantly variable transmission (CVT). A metal belt ran between two pulleys; the pulleys vary in diameter to provide an infinite range of gearing between the maximum and minimum diameters. The system was developed with the Dutch specialist Van Doorn Transmissions, and was successfully track-tested with a Renault V10 engine. The beneficial implications of the system were many: the engine would always run in its best power or torque range, and the gearing would alter to provide the acceleration demanded by the driver. Additionally, the change of speed would no longer be accompanied by a jolt and ride height change from the gear shift. This meant the chassis maintained a better attitude to the track than that provided by the semi-automatic gearboxes being pioneered at the time. The FIA were quick to realise the advantages of the system and, along with active ride, CVT was banned for 1994. The aims of the CVT were never realised, but current seamless shift mechanisms in the gearbox achieved in part what CVT was aiming to do. 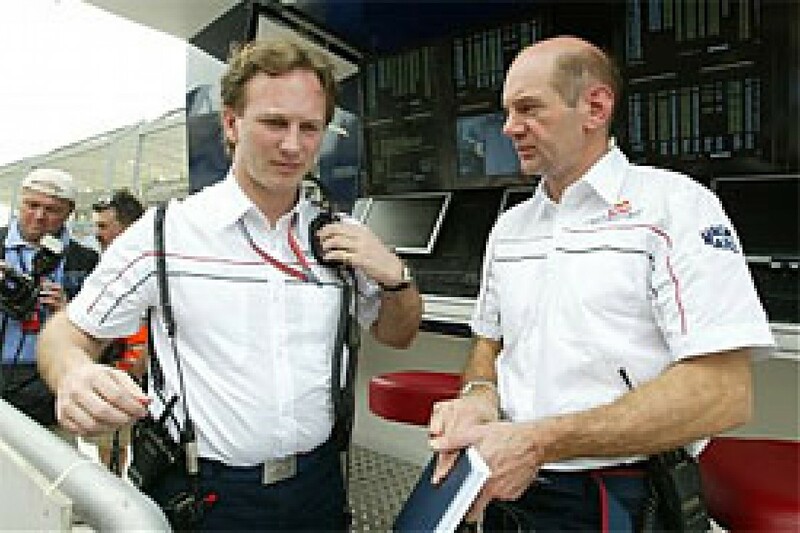 The banning of Active technologies started the cat-and-mouse game Newey had with the FIA throughout his career. Poached by McLaren in 1997, Newey's impact on the team was immediate. By now the technical departments were growing and the complexity of the car was ever greater. In retrospect, Newey's time at McLaren was not as successful in terms of championships and victories as at Williams, but technically he had more resources than ever and exploited this with several important innovations. Newey focused a lot on the processes the team went through to design, prepare and operate the car. His approach gelled well with Ron Dennis's matrix management philosophy and his obsessive attention to detail. 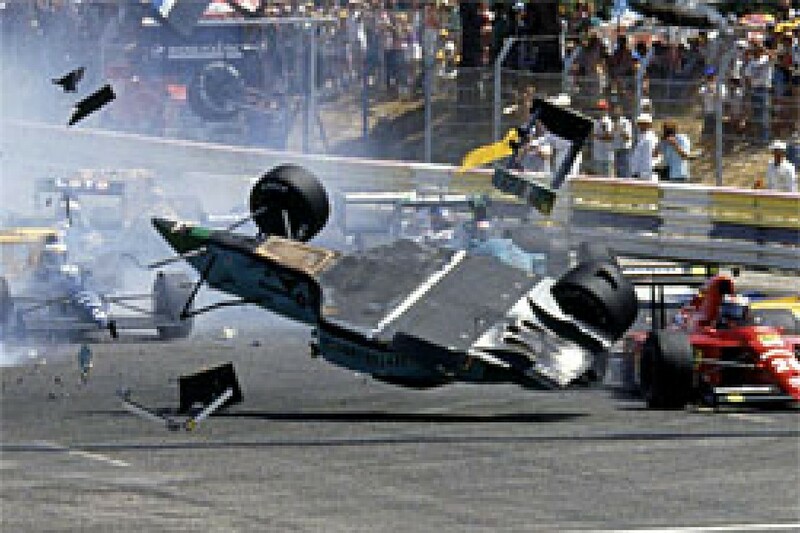 In 1998, the team were caught out by a photo published in F1 Racing magazine, which showed the drivers were running with an extra brake pedal. This became known as the fiddle brake system and was actually a very simple solution that allowed the drivers to independently brake the wheels on one side of the car. This worked in high speed corners to induce a turning moment to reduce understeer. Some circuits demanded the left side, others the right - depending where the most suitable corners where. The FIA soon stepped in and banned the system. Fiddle brakes aside, in many respects the championship winning cars in 1998 and 1999 were straight forward and well executed cars. They owed little to the Williams or Leyton house cars. They bore angular lines with large flat surfaces, gone were the waisted and blistered lines of his earlier cars. By 2000 the team were struggling against the resurgent Ferrari and the detail development stepped up. Newey introduced now common features such as chimneys and two-part bargeboards. Yet it was not until 2002, as the team entered the new season without the world championship in their hands, that Newey introduced a radically different car. Facing an utterly reliable Ferrari, McLaren felt that outpacing the Italians was the best strategy. The MP4-17 was an aggressive attempt to have a faster car than the opposition. Starting with a drooped nose and elegant twin keels, with chimneys now central to the cooling philosophy, the car wore slimmer sidepods and periscope-style exhausts blowing through their top surface. McLaren also gambled on a late switch to Michelin tyres to outflank Ferrari on their Bridgestones. Such a large number of changes confused McLaren and must have taxed even their resources. The season was not a success and pinpointing the failings was not an easy task. McLaren and Newey's response was to develop what can only be described as the ultimate F1 car to beat Ferrari. Newey was given huge resources to develop an all-new car incorporating a multitude of new philosophies, from structures, to aerodynamics and transmissions. As a stop gap for the new MP4-18, the MP4-17 was updated to a D specification to race in 2003. The MP4-18 was designed to be extremely light. New composite solutions were employed in the structures to lose weight, in order to run an extreme amount of Ballast. One critical development of the car was the gearbox and gear casing. For lightness, Newey wanted the case in carbon fibre, and for a quicker shift he wanted a double clutch set-up. Carbon composite gear cases had already been raced by Arrows and Stewart. So the problems of the case expanding at a different rate to the metal bearing carriers had been solved with the use of titanium. Little is known of the twin clutch gearbox, as its existence was only confirmed by Newey a year or so ago. The way a double clutch set-up works is to split the gear ratios into two; each clutch serves alternate gears, and this way one gear can be engaged and a second can be pre-engaged, awaiting the two clutches to switch over. This way the shift can be all but instantaneous and very smooth. In this sense the solution harks back to the aims Newey had for the early adoption of semi-automatic gearboxes and the CVT at Williams. Aerodynamically, the car sported a complex three-element front wing merged with the slim nose cone. The sidepods were extremely tight around the engine, starting with undercut and a small inlet; the hot radiator air exited through a variety of ducts, but curiously not chimneys. This tightened sidepod had its exhaust pipe passed through into the diffuser. This practice was dropped by most teams in previous years and was even adopted by Newey on the MP4-17. He said that this was only due to engine requirements and his preference was to feed it more usefully into the diffuser. For the MP4-18, the exhausts exited in the lower side channels, directing their flow into the tall central tunnel. But all this tightening bodywork and enclosed exhausts started to lead on to other problems. The car was famous for burning its carbon fibre bodywork, which started the now standard McLaren routine of greeting the car into the pits with a precautionary squirt of fire extinguisher. Even the inherent cooling capacity of the car was suffering, with extra slots being cut into the bodywork to improve cooling. The internally routed exhausts pipe were rumoured to be overheating the carbon fibre gear case leading to structural problems. So bad were the problems of the new solutions working with each other, that the car never raced. The stillborn MP4-18 probably did achieve its status as the ultimate F1 car in a technological sense, but it was never able to demonstrate its potential. On hearing of the double clutch gearbox, the FIA issued a clarification, that the use of double clutch gearbox was effectively banned. The FIA felt the two clutches could be phased to provide continuous drive and hence an infinite number of driven ratios, which was against the FIA mandate of a maximum of seven forward speeds. The MP4-18 lives on through the recent run of McLaren cars, in the slim sidepods and complex nose set-up. 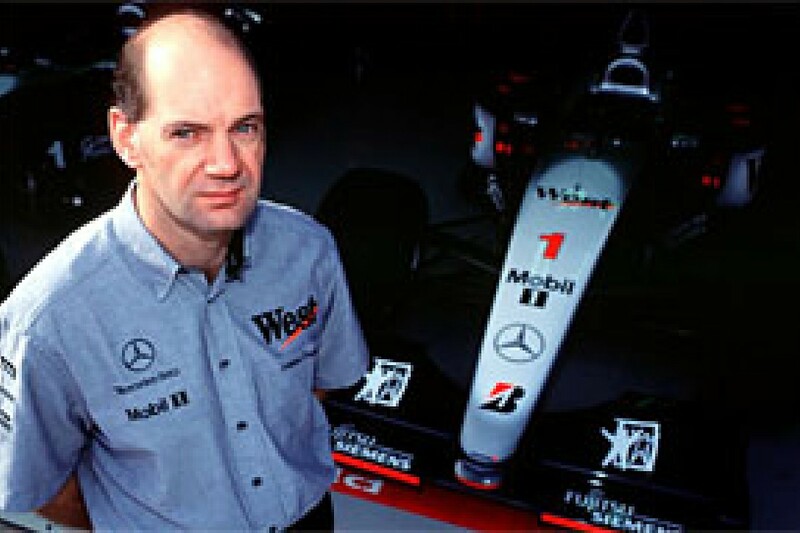 Politics intervened after the debacle of the MP4-18, the 19 was a compromised car and the subsequent 19B was Newey's view of how the car should have been in the first place. With his contract due for renewal at McLaren, he decided to leave the team and was surprisingly persuaded to join the growing Red Bull team. 2006 saw the Red Bull team race a new car, but one designed by the ex- Renault design man Mark Smith and not Newey. Newey joined the team in January and too late to be involved in the car's design. He also says he had little impact on its development through the year: "really, my input has been into race engineering, how we run the car." Instead he has set about assessing the team's structures, resources, and processes. "95% of my time is spent on design and research on next year's car and putting in place the equipment the team will need - things such as a gearbox dyno, which has a long lead time. Reorganising the structure of the team, it's all geared to the future." Coming from the huge corporate team that is McLaren, Red Bull returns Newey to his roots in leading a smaller group. "What's been stimulating for me is I've developed with my colleagues recently at McLaren a way of thinking on the evolution of the car. Now I've walked into a new team. "Although the cars look broadly similar, the thinking behind them is completely different - to the point where I was very surprised how different the thinking could be on a highly refined F1 car. My job now is to combine my knowledge and experience at McLaren with the experience of the guys at Red Bull." From early in 2006, all efforts within the design team were focussed on the new car for 2007. For this Newey negotiated with Red Bull for a supply of Renault Engines. From their unique position as a Ferrari customer team, and with Smith being recently departed from the Renault team, they could compare the two power plants. Newey is suggested to have preferred the Renault engine for its lower heat output and lesser fuel consumption. These two critical facets are important in the layout of the car, demanding a smaller fuel tank and smaller radiators, both of which will contribute towards Newey's usual goals of slim and efficient designs. In the next few weeks, we will see what Newey can do with the smaller resources but freer reign at Red Bull. The tantalising last word goes to Adrian who, when asked if the new car will bear resemblance to his recent McLarens, responded: "you'll have to wait and see!"